How Much Does iOS 7 Borrow From The Jailbreak Scene? Apple has a history of taking inspiration from the jailbreak community when it comes to updating its mobile operating system, and iOS 7 is no different. Though a large number of third-party iOS applications are indeed facing "an uncertain future" ahead of iOS 7's public release, in some form a total of 16 jailbreak tweaks (and counting!) have also had their key features incorporated within the seventh iteration of Apple's mobile operating system. The "dynamic clock" feature added to the built-in Clock app in iOS 7 indeed takes a healthy dose of inspiration from LiveClock and Clockify, two jailbreak tweaks which enabled the live clock-face feature as early as 2010. While LiveClock simply enabled a dynamic clock-face for the Clock app, the more advanced Clockify also allowed users to choose alternative faces for the application, and added a Clock app widget to Notification Center. Though Apple hasn't replicated all of the more advanced features of Clockify within iOS 7, it nevertheless has added one of its most important features - a live clock-face - to the built-in Clock app. LiveClock, at the very least, will therefore no longer be required under the forthcoming mobile operating system. Both Auxo for iPhone (and iPad) and Dash promised to improve the fast app switcher in Apple's mobile operating system, and each did so by offering previews of "open" app screens in the multitasking menu. In addition, both jailbreak tweaks allowed users to "close" applications with a single swipe up or down. Apple hasn't directly poached the appearance of either Auxo or Dash, however iOS 7's fast app switcher does offer similar functionality. As noted in our hands-on video, Apple's forthcoming mobile OS indeed allows users to browse through app screens and to close applications with a swipe. Does that mean Auxo and Dash are now no longer needed? You decide. SBSettings and NCSettings allow jailbreakers to access a number of toggles (such as Wi-Fi, Bluetooth, or brightness) from anywhere within Apple's mobile operating system. In particular, SBSettings has been a popular jailbreak tweak for several years now, and often features on "Top 10 jailbreak tweaks" lists. In iOS 7, however, Apple has added Control Center - a swipe-up display that features a selection of SBSettings-style toggles, which can be accessed from the Home screen, from within an open iOS app, or from Notification Center. Problematically, the customization options available in SBSettings and NCSettings aren't on offer in Control Center, meaning users will have to make do with the default selection of toggles Apple includes. FolderEnhancer and InfiniFolders allowed users to place iOS app folders within folders, and to add an infinite number of applications to folders, back when each jailbreak tweak launched several years ago. Fortunately for iDevice owners, similar functionality has been incorporated within iOS 7. Namely, in Apple's forthcoming mobile operating system, users can add the Newsstand folder to an iOS app folder, and also have the option of creating multiple pages in app folders. Not only will this make iOS app control much easier, but it'll also help iDevice owners to fully realize their idea of a perfect iOS Home screen. UnlockFX added a number of animations to the iOS Lock screen back in January 2012. While many of the animations added by UnlockFX (which included "Slide Away," "Rotate and Zoom Out," and "Open Door") have not made it to iOS 7, Apple has nevertheless revamped the Lock screen in its forthcoming mobile OS. Indeed, the Cupertino, Calif. company has not only redesigned the Lock screen in iOS 7, allowing users to swipe anywhere on the screen to unlock an iDevice, but the action also results in an attractive animation as app icons appear on screen. For more information on the Lock screen in iOS 7, be sure to take a look at our hands-on video. In iOS 7, Apple has given the Home screen wallpaper an impressive makeover. Particularly, users now have the option of setting interactive wallpapers - such as a panoramic image - which move, corresponding to the accelerometer-monitered motion of an iPhone handset. In our hands-on video, we gave you an overview of iOS 7's panoramic wallpaper feature, and explained how to set it up properly. 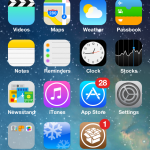 Live wallpaper jailbreak tweaks, such as vWallpaper 2, therefore face some serious competition in the form of Apple's iOS 7. Live wallpapers have indeed been added in iOS 7, but in addition, Apple has also included a new "parallax" feature, which provides a 3-D effect for app icons and wallpaper images. Though impressive, this feature became available in the Cydia Store as early as June 2011, with the jailbreak tweak DeepEnd. As such, iDevice owners will have no need for this useful jailbreak tweak once iOS 7 becomes available. Safari in iOS 7 allows users to create an unlimited number of tabs. This feature, however, has been available on the jailbreak scene for some time thanks to the popular jailbreak tweak, Tabs+. FastBlurredNotificationCenter is a jailbreak tweak that allowed iDevice owners to add a blurred, semi-transparent effect to Notification Center on a jailbroken iPhone or iPod touch. In iOS 7, one of the several changes made to Notification Center concerns its appearance, and Apple has indeed added FastBlurredNotificationCenter's effect to Notification Center in its forthcoming mobile operating system. Long before Apple unveiled iOS 7 at its recent WWDC 2013 keynote, a jailbreak tweak called Bulletin made it possible to invoke Notification Center from an iDevice's Lock screen. 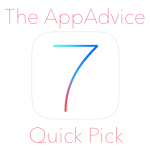 In iOS 7, however, users can not only enjoy using a redesigned, revamped Notification Center, but it's also possible to activate Notification Center in iOS 7 from the Lock screen. Bulletin's main feature has therefore been incorporated within the seventh iteration of Apple's mobile operating system. Last year, a jailbreak tweak called SwipeBack made it possible for users to navigate back through applications in Apple's mobile operating system by swiping from left to right on an iDevice's screen. The feature was useful, and felt intuitive. Fortunately for non-jailbreakers, SwipeBack's functionality has been incorporated within iOS 7. According to iOS developers, the "swipe back" feature works with all built-in applications in Apple's iOS 7. In taking inspiration from Google Chrome (and in following Mountain Lion's Safari upgrade), Safari for iOS has received a "smart search field," a.k.a. "omnibar," in iOS 7. Before iOS 7 beta 1 launched, however, iDevice owners could easily add this feature to their jailbroken iPhone or iPod touch using a jailbreak tweak called Safari UniBar, which became available back in 2011. Well, there you have it: a total of 16 jailbreak tweaks which, in some form, appear in iOS 7. Did we miss any?